Cabinet door and drawer box customer Rick Van Zee explains how his company, Frontier Cabinets, utilize Decore.com to help their customers understand what cabinet doors, drawer boxes, and other cabinet components might look like before purchasing with them. 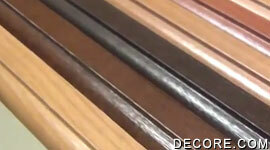 Instructional video describing how to "prepare cabinet components" to be finished with our Water-based Finishes. As a reminder, Water-based Finishes SCS certified, Indoor Advantage Gold, providing little to no VOC emissions. Instructional video describing how to "setup equipment" and "techniques used" to match our Water-based Finishes. As a reminder, Water-based Finishes SCS certified, Indoor Advantage Gold, providing little to no VOC emissions. Instructional video describing how to "spray stain" and "apply glaze" to match our Water-based Finish. As a reminder, Water-based Finish SCS certified, Indoor Advantage Gold, providing little to no VOC emissions. 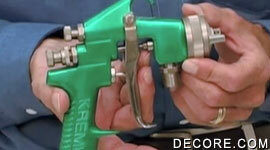 Instructional video describing how to "spray shaders" to match our Water-based Finishes. As a reminder, Water-based Finishes SCS certified, Indoor Advantage Gold, providing little to no VOC emissions. 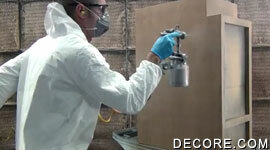 Instructional video describing how to "spray paint" and "apply glaze" to match our Water-based Finishes. As a reminder, Water-based Finishes SCS certified, Indoor Advantage Gold, providing little to no VOC emissions. 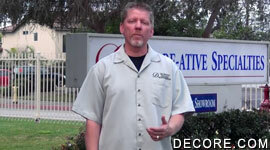 Decore-ative Specialties is honored to serve you when you call us with orders, questions, or concerns. We'll answer your call with a friendly smile. 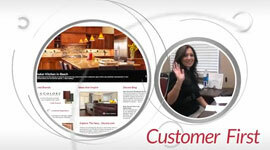 Thank you for choosing Decore-ative Specialties.